City One is the thermoplastic helmet in two shells of different sizes, created in response to the needs of city riders that do not mind the occasional outing. 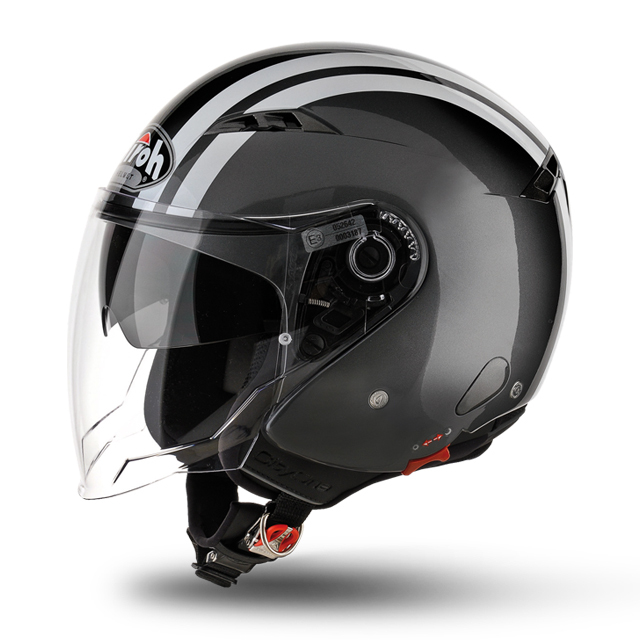 The top vents and adjustable rear extractors meet the needs of ventilation allowing a more efficient circulation of air inside the helmet. City One is equipped with a protective visor with a particularly elongated form, capable of providing a feeling of security, and also a retractable sun visor externally operable with a small gesture. The inner lining offer unique ergonomics: they are removable, washable and hypoallergenic with mesh inserts that have high breath-ability.